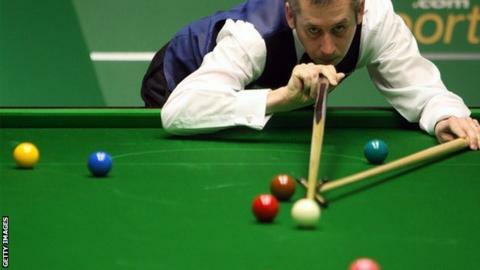 Nigel Bond says unless his results pick up then he is likely to retire at the end of the season. The Derbyshire-born veteran, a former World Championship finalist and ranking event winner, dropped out of the top 64 this season, meaning tougher draws. After losing to world number 19 Graeme Dott in the UK Championship, Bond said he was considering packing up his cue. "Definitely," he told BBC Sport. "I'm 50 now. This could possibly be my last season on the tour." Bond has a two-year professional card, so he can play on the main tour until the end of the 2016-17 season. But despite having "enjoyed every minute" of his career, he said the fun factor was beginning to wane. "Dropping out the top 64 and finishing 65 means I am drawing a top-64 player every first-round match which makes it harder," the 1996 British Open winner said. "Snooker has been good to me. I reached the final at the World Championship , and made five ranking finals and won one. But the last couple of years have been tough. "I can't complain. I have had 27 years as a pro. But I am not enjoying it when I keep getting beaten every game. The game is tough now. "I am looking forward to doing other things in snooker - more on the coaching side that's the way for me to go." Career title wins: One - British Open 1996. Ranking title wins: Five - Kings Cup 1993, Red & White Challenge 1995, Malta Grand Prix 1996, Scottish Masters 1997, World Seniors Championship 2012. Other success: Bond has reached four other ranking event finals, including the 1995 World Championship, where he lost 18-9 to Stephen Hendry. Bond, who now lives near Sheffield, said increasing tour expenses were also a factor in his thinking. "It's tough," he added. "I have done alright out of the game but just because I have done alright, there is no point in just throwing money away. "When you are not getting anything out of it then it is time to look for something else. "It's different if you are younger. In effect you are gambling that money to move up the tree. But age isn't in my favour. "But I have got the profile and coaching is probably the way for me to go. Hopefully there will be a few developments over the next few weeks. "If you are helping people you feel you are doing something worthwhile. I still want to be involved in the game in some capacity."